The Giro d’Italia will return for its 100th edition on May 5th, and Musement will take you on the road with the cyclists to discover the most beautiful Italian landscapes: we’re talking about the first race stages, which will cover the spectacular cities and sites of Sardinia and Sicily. 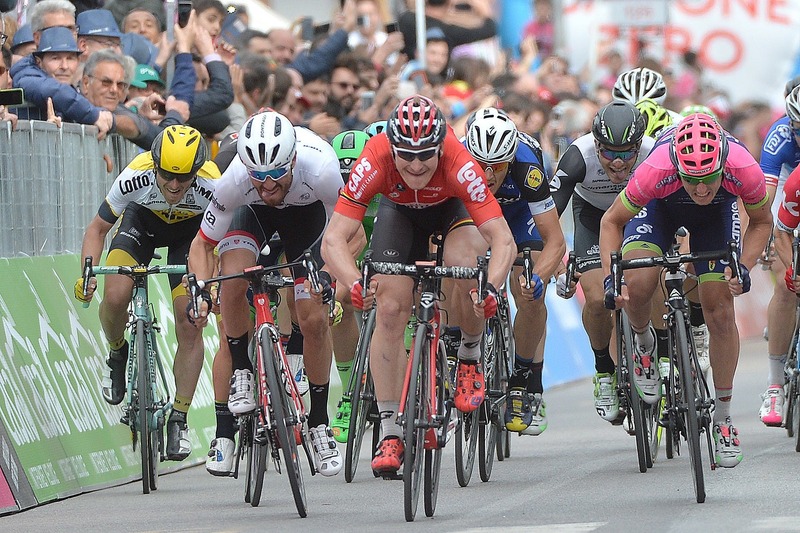 The Giro d’Italia will be back for its 100th edition on May 5th. When the Italian flag waves and the race starts, it will bring back many memories and important moments in Italian history. The Giro d’Italia stands for passion, adrenaline, and entertainment, but it also represents culture, tradition, and history. The Giro has witnessed the two World Wars when it had to be interrupted. It has witnessed the famous rivalry between Fausto Coppi and Gino Bartali, a competitive and personal rivalry that went beyond the boundaries of sports and reached the world of politics, with Coppi and Bartali being seen as representatives of the most important political binary of the period – the dichotomy between the Communist Party and the Christian Democrats. It has witnessed the contradictions and the dark side of the 90s, with the media trial of an unforgettable and tormented Pirata Marco Pantani while Italy adopted the European single currency. And just as the Giro tells the story of the country, it also chronicles, in its own unique way, the story of its most important cities, its most ancient villages, and its most beautiful and pristine landscapes. This year’s edition will cross the entire Italian peninsula and Musement will accompany you on this adventure to discover some of the country’s most interesting areas. Let’s start with the first five stages, which will have two wonderful regions as the protagonists, with deep-seated traditions, spectacular sceneries and wonderful food: Sardinia and Sicily. These early race stages will cross Sardinia, an ancient land full of natural, cultural, and culinary wonders. 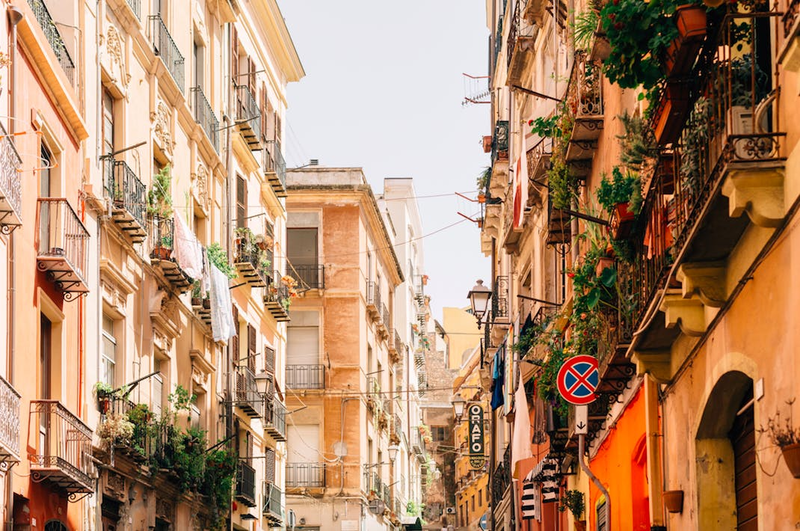 The Giro will depart from Alghero, also known as Barceloneta due to the lingering use of Catalan in this Italian city: once riders start challenging each other over a winding route full of ups and downs, it will be time to look around and explore this wonderful sea town. Characterized by red stone buildings, Alghero is the capital of the Coral Coast: as a matter of fact, its waters are home to some of the largest red coral colonies in the world, which represent – along with tourism, thanks to the region’s magnificent beaches – a major source of income for the city. Once the athletes reach Olbia, it will be the perfect moment to unwind and discover a stunning paradise surrounded by crystal clear waters. Costa Smeralda is known for its white sand beaches, rock pools, Caribbean-like waters, and untouched islands waiting to be explored by boat. But there are many fun things to do on land as well. This region – where the Italian and international jet-setters gather – is full of trendy bars and nightclubs. 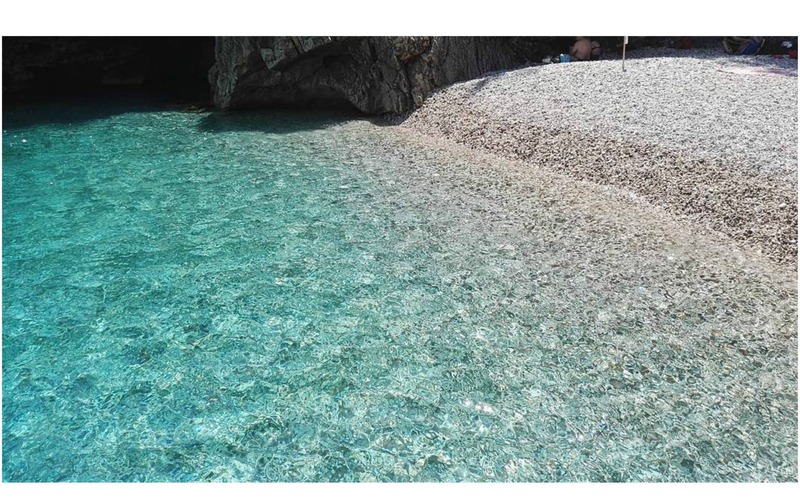 The next stage, from Olbia to Tortolì, will bring us to the heart of Ogliastra. Ogliastra is a wilderness area, less touristy than Costa Smeralda, but just as beautiful and charming. The white sandy beaches give way to high clay cliffs towering over a deep blue sea and surrounded by a lush and fragrant vegetation. The Sardinian stages will end in great style – perhaps with a final sprint facilitated by the region’s flat, low-lying landscape- in Cagliari, a true paradise located in the southern end of the island. There are many sites to discover in this white city, which the sunset paints red and orange. The Regional Council building with the distinctive statues by Sardinian sculptor Costantino Nivola, the Church of Sant’Eulalia, which houses archaeological finds from Roman times. The fascinating Castello district with its Pisan period towers and Spanish era bastions, reflecting the transfer of powers over the centuries; and finally the Santa Maria Cathedral and the Royal Palace, the seat of the Viceroy and residence of the Savoy family. Exploring this magnificent city after the race stage will be a wonderful experience; ride a bike across the Cagliari countryside, visit the most important necropolis in the Mediterranean (located just a short walk from the city) or explore the phenomenon of muralism, which has come from Mexico to this Sardinian region thanks to Pinuccio Sciola. For those who are still buzzing from post-race adrenaline, there’s no better plan than a hiking adventure in Barbagia, where you can try local cheese or stroll along the Sella del Diavolo (Devil’s Saddle) Promontory. Legend has it that this area was the scene of a clash between angels and demons and that Lucifer fell down from his horse and lost his saddle in this very same place, which then formed this impressive limestone promontory. The Land of Oranges has hosted 42 stages of the Giro d’Italia so far. Now, 50 years after Bitossi’s 1967 triumph, the Giro will cross Mount Etna for the second time in its history. These race stages will visit some of the most beautiful and distinctive Sicilian locations. The riders will depart from Cefalù, a beautiful village located at the foot of a rocky promontory on the northern coast of Sicily. It was founded by the Greeks in the 4th century CE and was later conquered by Romans and Arabs. This city is known for its stunning beaches and the Duomo cathedral, rich with Byzantine mosaics and declared a UNESCO World Heritage Site in 2015. 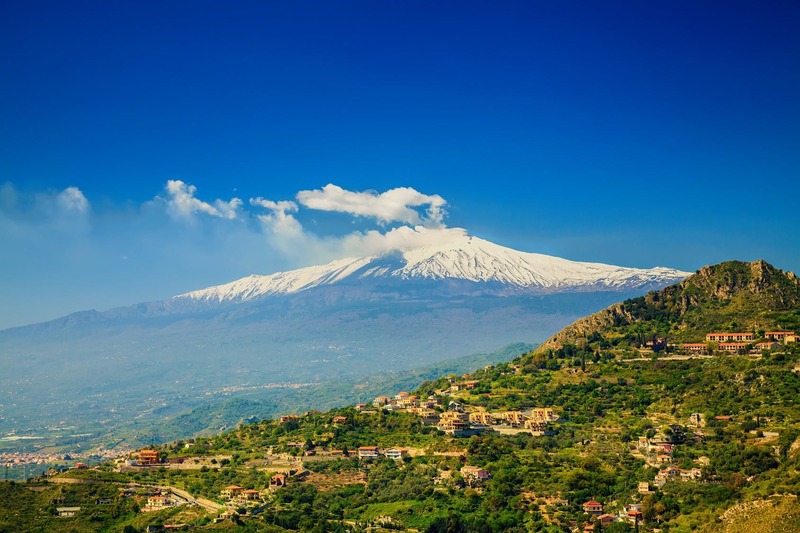 This Sicilian race stage will have an altitude difference of almost 3500 meters and will end with the Giro’s first uphill finishing line, after the descents through the Nebrodi and Etna Parks. The Etna region is not only famous for its wild and unspoiled nature – definitely worth exploring – but also for its delicious wines. 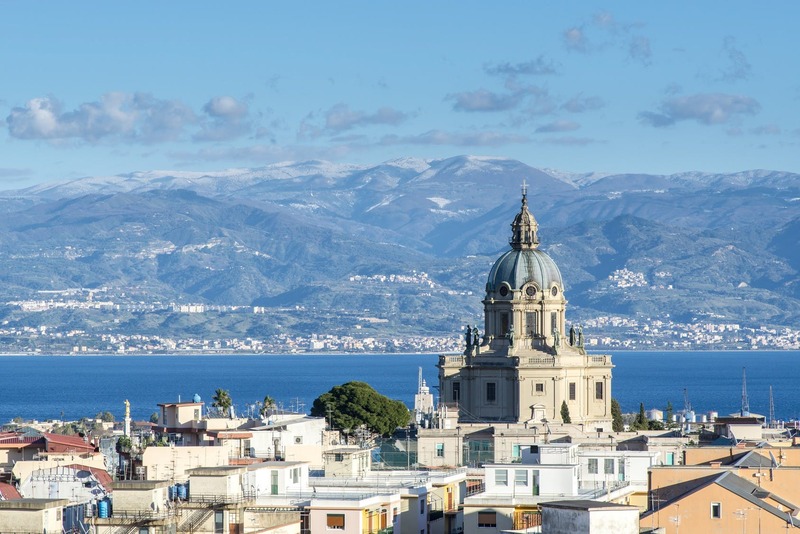 The riders will then head off through many urban centers and descend the spectacular Alcantara Valley, visiting Taormina and finally crossing the finishing line in Messina. You can visit the Valley and explore its charms before visiting one of the most beautiful and famous Sicilian cities: Taormina. With its marvelous Greek Theater (where you can still watch theatrical and musical performances), its wonderful main square and its picturesque market, Taormina has plenty to offer to its visitors. On the other hand, it is widely known that sports – even if you’re a spectator – can make you feel hungry, and Taormina is definitely the right city not only to taste the finest delicacies but also to learn how to cook them. The Sicilian stages will end in Messina. Once the riders arrive at the finish line, the city is waiting to be explored. A pinolata or coffee granita with cream and a brioche at Caffè Irrera is a great way to get a glimpse of local life. We also recommend a stroll in the beautiful Piazza del Duomo (with the Fountain of Orion), a visit to an exhibition at Palazzo Cultura, a sunbathing moment at Poetto beach (a genuine urban beach) and a hike to the top of Caperrina Hill, where you can visit the Sanctuary of the Madonna di Montalto and admire the breathtaking views of the city and over the waters of the Strait that separates Scylla and Charybdis.